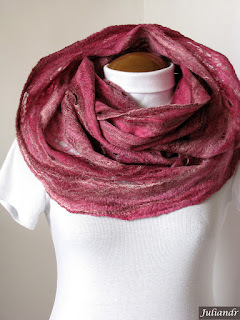 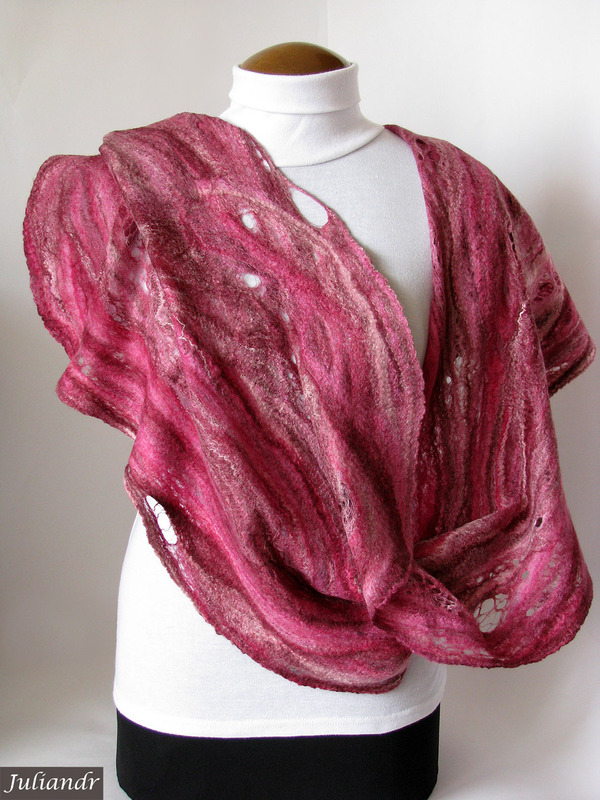 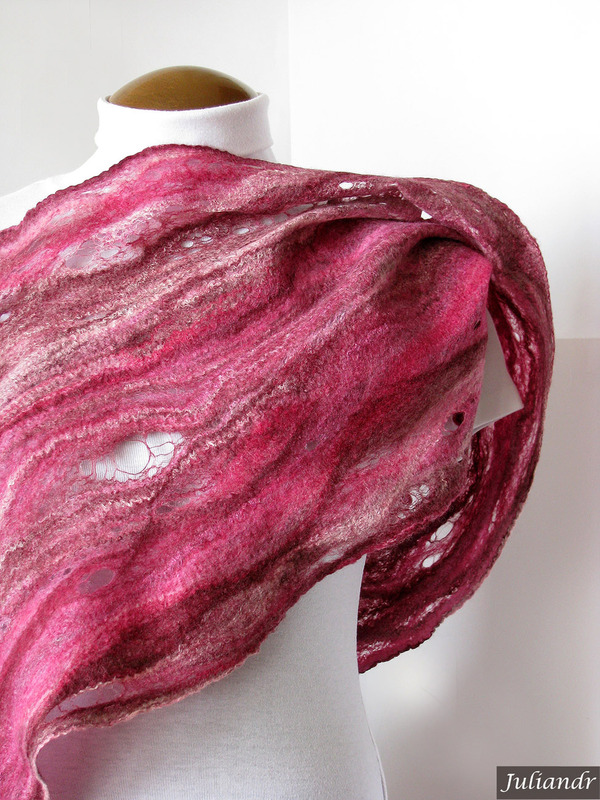 This one is a tender, delicate foxberry red large loop scarf.. as thin as felt can be! Also can be worn as a shawl. 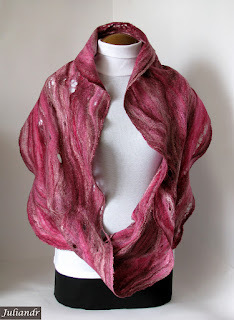 Measures 79x35-40 cm ---> 31,1"x13,7"-15,7".